There was always incense burning (among other things) at a Grateful Dead concert. 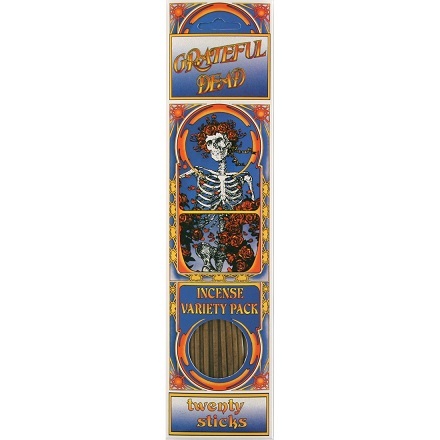 Relive that experience with the Grateful Dead Skull & Roses Incense Pack. 20 stick variety pack that has Nag Champa, Patchouli, & Sandalwood scents. Officially licensed Grateful Dead merchandise.